For the beginning musician, selecting a good first set of compositions for listening can be challenging, as even sifting partially through the ocean of existing pieces takes much time and energy, and distinguishing between well-written and poor works requires an ear that is at least familiar with quality musicianship. To find a great writing and know its excellence using uneducated methods is difficult as is; to locate one appropriate for a novice is a task that an unexperienced individual might lose hair over. The balance between droll predictability and overwhelming complexity is minute, and pieces whose technicalities can be interpreted by advancing students hide easily in the masses of sonic productions. This article lists several composers who have written pieces that the novice musician can easily grasp and absorb information from. Accounting for the fact that these authors composed pieces for all skill levels, it will attach a few lighter opuses to each name, offering readers quick insight into relatively simple and gorgeous music. Most of the composers mentioned here are of the Classical era, as that period produced “more to hum along to” and for beginners to take pleasure in. To make this text meaningful to all players, the pieces listed showcase a range of instruments. Mozart is one of the most renowned composers of both his time and today. His history as a child prodigy is known by musicians and non-musicians alike, his list of repertoire, which includes over 600 works, and the example that he set as a mentally enduring worker affects all types of people today, including the youth. 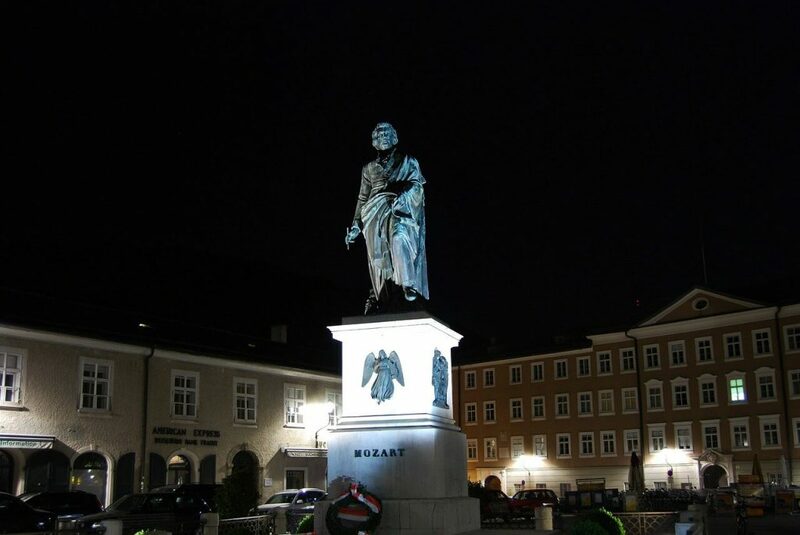 His father’s driving education that so oriented the Mozart family towards success is taken on by many today, as some parents continue the “tiger rearing” legacy nourished by Leopold Mozart’s parenting. Through both his music and his story, Wolfgang is a respectable influence for beginners and art “climbers” looking for chilling content. One of his first works, the Minuet in F Major for Piano, is a classic beginner’s piece, with a maximum of two notes played at any given time, and set to a mild tempo. Others, like his Allegro in B-flat Major for Piano, and the Sonata in C Major for Violin, are works played by advancing students, and are recommendable as additional repertoire for young studiers. Mozart’s more legendary achievements, including his Requiem Mass in D Minor and The Magic Flute, though not feasible as independent practice pieces, exemplify the composer’s mastering of his craft, and stand as works that can deeply impact any intent listener. Most compositions by him are stunning, and can be enjoyed by people just tapping into musical waters and by those fully immersed, alike. Sublime and mystifying, magnificent and heroic, profound and near-philosophical, Beethoven’s compositions are abundant in lustrous melodies and twisting harmonies, and in joyous tunes and pleasant accompaniment. 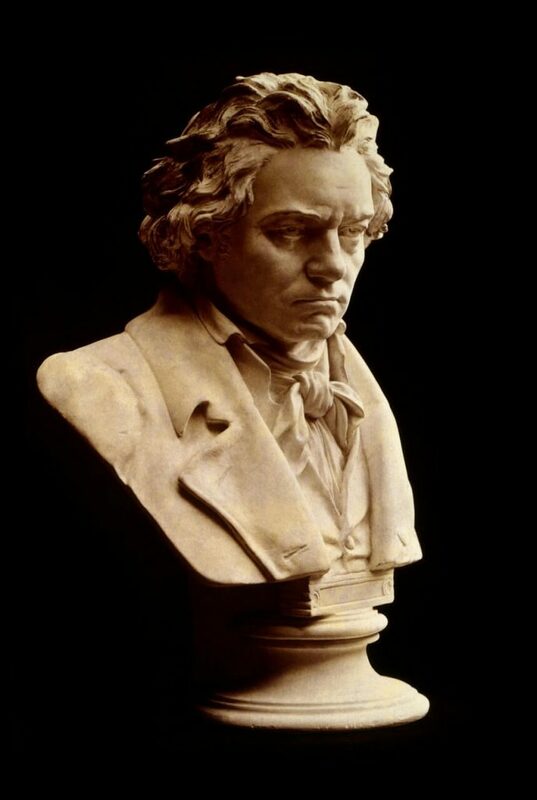 Famous for his revolutionization of Classical music and his large output of well-received writings, Beethoven was a living embodiment of the transition from Classicalism to Romanticism, and was a pioneer of the idea, “art for art’s sake”. Beethoven was, in fact, influenced by his prodigious predecessor. However, his style differs much form the “pop” composer’s, as its predominant character is serious and introspective, often utilizing dissonance and sporadic tonicization. It is not uncommon for pieces such as Für Elise and The Moonlight Sonata to be included in the repertoires of intermediate musicians, as they are fine creations for young listeners. The ninth symphony’s famous Ode to Joy (Joy to the world!…) was “adopted as the European national anthem in 1972”, and the introduction to Symphony No. 5 is widely recognized. A lot of his works are mature, and require an acute ear in order to be fully appreciated, but, for the most part, they can be enjoyed by all attendees. Not one piece by Beethoven is meant to be played by a fresh student. However, some are excellent for the progressing musical disciple. J.S. Bach is a Baroque composer known for his expertise handling of counterpoint. His use of succinct melody lines over twisting harmonic patterns, and his affinity towards unforeseen chordal motion and regular dramatic tonicization is unmatched by most composers of his age and those following. As a child, Bach was likely taught violin and music theory. He expanded his horizons to organ-playing and church music-directing, and took up full-time duty as a composer after turning 21. With innovative solo parts that formed the first ideas of solo keyboard pieces, and with diverse note flow that affected even early jazz works, his compositions are capable of propelling a soul to such spiritual heights that they “almost persuade [one] to be a Christian”. 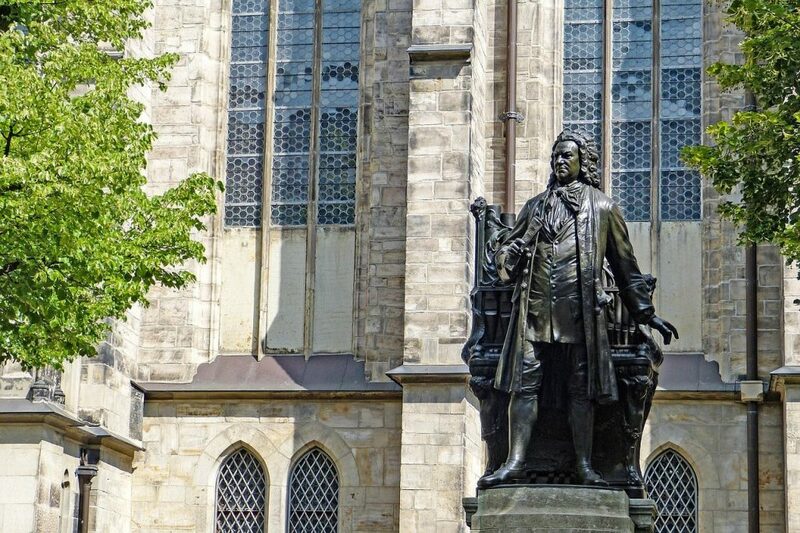 Sometimes simple, but always enrapturing, Bach’s works are examples of, in a sense, perfect music, as their technical correctness and undefiled grace are clear, and their accordance with theoretical rules is unfailing. As such, they are wonderful for ears that are want of pristinely-conditioned art, and are sure to caress any cartilage bent towards them with flattering vibrations. His Cello Suite in G is an absorbing piece that gifts listeners with a single melody from a solo cello, permeating the air with intense bass notes, sailing alto-range frequencies, and rhythmic constancy. 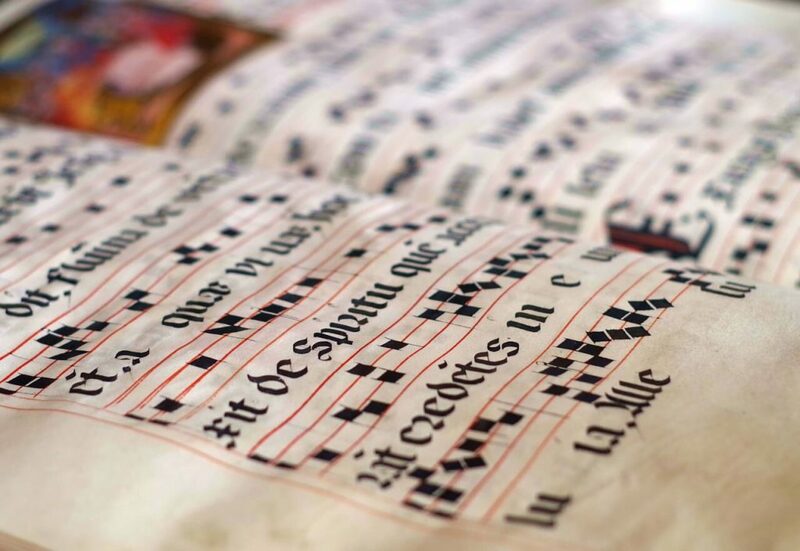 The Art of Fugue, originally for organ, is a grand work whose motions are solidified and balanced, and whose themes appear and reappear in systematized time. The Brandenburg Concertos are acclaimed for their important impact on the approach to music, as their enrollment of multi-instrumentation using simultaneous melody lines over continuous harmonic passages established a new standard and unity amongst group musicians. Bach is best known for his technical mastery, both of his own instrument and of inventive musicality. Often considered a father of music, his arrangements and ideas are celebrated as some of the greatest of any time, normally taking place on people’s lists of best-ever compositions. Held in as high regard as Beethoven and Mozart, his cataclysm of the artistic world is still apparent, and his works are showcased by many beloved performers today. Such works as The Four Seasons and Magnificat make Vivaldi an indispensable addition to this list. Starting his musical studies in violin, he was at first directed towards being a priest, until a chess game once distracted him from attending Mass, causing his disbanding from the religious trade. Plagued by physical sickness throughout his life, Vivaldi led a hectic career of sacred music-writing, music school-directing, opera-making, and teaching. His ailments spurred his rejection of non-musical labor, and probably fermented his desire to craft art. He was a major contributor to the ‘program music’ movement, which promoted the expression of non-musical phenomena, such as trickling water, chirping birds, and daily life circumstances, through sound. Perhaps his magnum opus, The Four Seasons conveys feelings conjured by the different times of year, representing, for example, Spring with bright, high-register, “chirpy” violin parts and blissful underlying harmonies, and Winter with frigid and urgent rhythms that seem to portray a frantic search for shelter during a severe storm. Vivaldi is also well-known for his concertos meant for experts of their instrument, and his flourishing melodies. Perfect material for bragging rights, they can impress many a well-taught and untrained listener. His Twelve Concertos for Oboe and Violin are astounding, and his mandolin and lute concertos are completely relevant in today’s guitar-inspired art world. As Vivaldi’s music puts “no intellectual or stylistic strain on the listener”, it is “instantly accessible”, and can plant the seed of artistic hunger into the heart of any persons willing to hear. His general air, his history, and emotional charm is almost unmatched by other well-known composers. The roots thereof might be traced to his spiritual practices, which, at least, helped to shape an incredibly unique and interesting persona. Apparently, they did the same for his music. The ability to clearly express oneself through a musical instrument in the same way that one might through spoken word is a skill yearned for by many musicians, and to know that it is attainable inspires much pride of and hope in one’s humanity. His works rely primarily on the piano, and composition types such as nocturne and mazurka are some that he exposed most commonly. Though almost all of his pieces make piano their solo instrument, some include orchestra and various accompanying equipment. 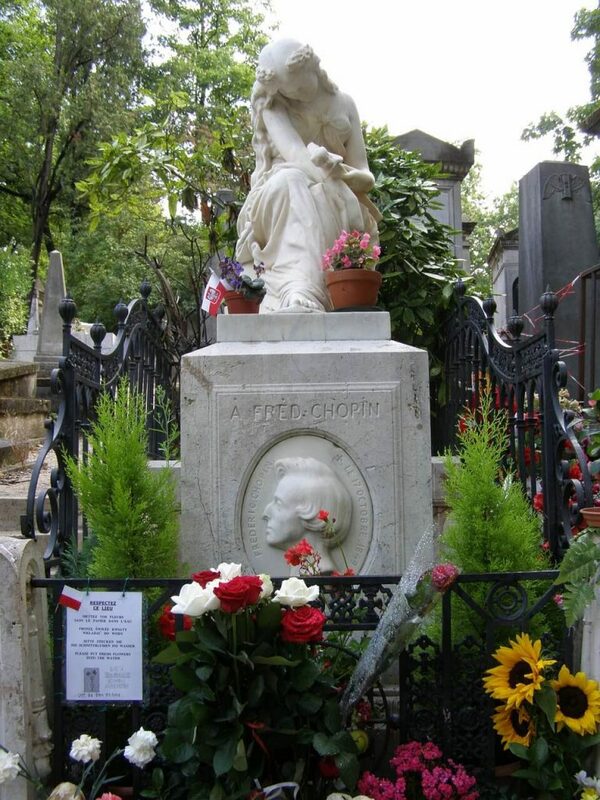 Most are mournful, as Chopin would “groan, suffer, and pour out [his] despair” through them. Spring Waltz heralds the scores of modern movies such as Howl’s Moving Castle and Spirited Away, and of video games like Deemo and those of the Final Fantasy franchise. Its progressions are just as familiar in modern times as they might have been shortly after their formation, bringing to mind the sad moments of an art-drama movie, or one’s most touching memories. Amongst other preludes of Chopin, the Prelude in E Minor stands out as one of his most somber and depressed, as its descending harmonic line and static melody provoke thoughts of utter disenchantment and lack of hope in the world. Set in a minor key, when it flirts with the onset of a major one for some beats, it willingly reclines back into sorrow, and any glimpses of happiness for it are swallowed by desolation and remorse. A likely looking-glass into the composer’s life, the e minor prelude can serve as a lucid reflection during one’s own times of strife. Tristesse articulates precisely what its title (French for ‘sadness’) entails. Weeping lines cascading over rolling chord motions imitate the movements of a tear down a weathered cheek, and sighing motifs remind one of the sentiments felt during an overdue cry. When played with good interpretation and deep passion (by Evgeny Kissin, for example), Chopin’s presence can be felt as his anguish resonates throughout the composition. A pianist explained that, whenever he plays Chopin’s music, “it is as if a beautiful fragrance were coming out of the piano”. 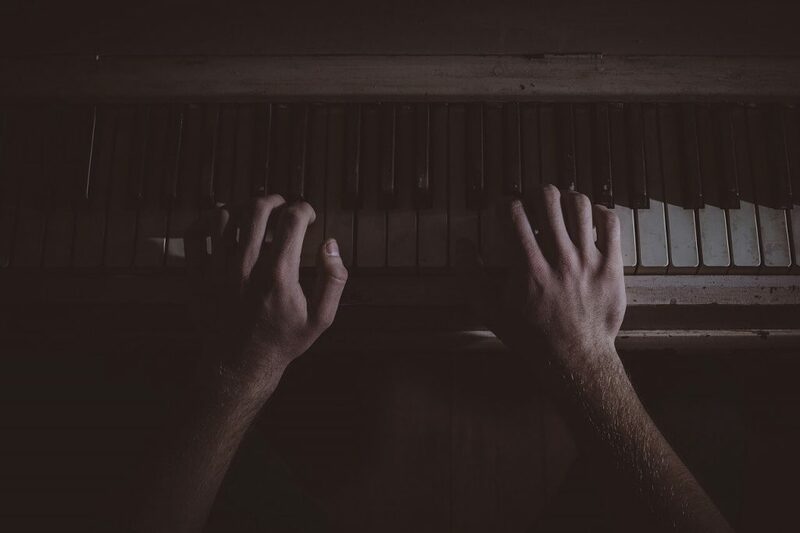 Though the composer’s music is not apt for the beginner, it can certainly be educational and galvanizing for anyone willing to learn, and is viable aspiration for a developing pianist. This article does not fully and completely list the composers from whom beginners and advancing students can take inspiration from. There are scores of other writers to be enamored by, and most of their pieces are accessible by mobile device. However, this does narrow down the options for searchers, and can serve as a reference for background and compositional starting points. All of the mentioned composers are people to be admired, and who stand righteously as titans of the musical world.